We were retained by Alex Development to design a 52,600 sq. 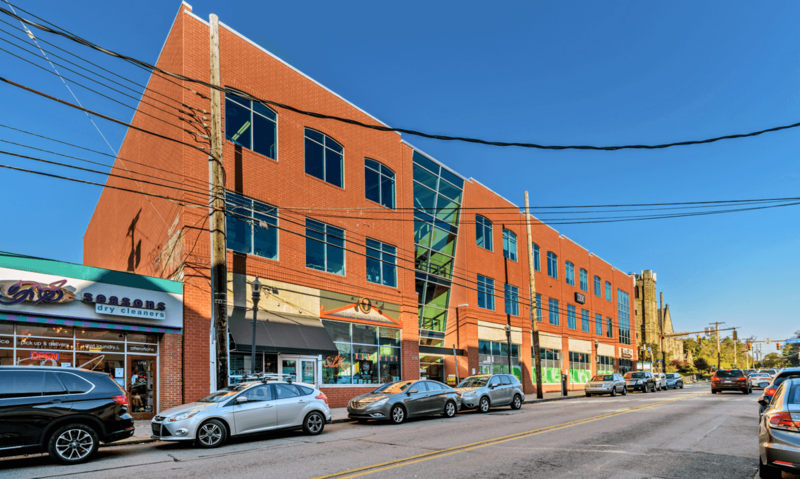 ft. mixed used building with offices and ground floor retail anchored by Rite-Aid Pharmacy located on a busy corner in the Squirrel Hill neighborhood of Pittsburgh. The building exterior design was contextual in nature intended to compliment the adjoining Jewish Community Center on Forbes and the older retail buildings on Murray Ave., while maintaining a contemporary approach which included extensive glazing, a sloped curtain wall system at the Building Entry & clean masonry lines. 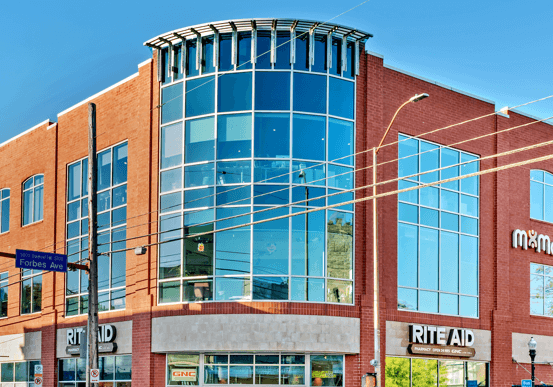 Rite-Aid’s interior design requirements precluded the use of windows at exterior walls so provisions were made to incorporate glass mural panels to engage the pedestrian level with clerestory glazing above. Working closely with Dynamic Building Corporation the project was completed well below market rates for construction and on time.